While both Jeep Grand Cherokee models have a variety of strong powertrains, a luxurious, look and feel, have outstanding off-road capabilities, are well-equipped, and can comfortably seat five adults, the 2019 Jeep Grand Cherokee sets itself apart by adding additional technology features to include an upgraded infotainment system. Both models are available in the following trims: Laredo, Limited, Trailhawk, Overland, Summit, SRT, and Trackhawk. Below I will discuss in more detail the differences between the two models and why you should choose the new Jeep Grand Cherokee. The 2018 vs 2019 Grand Cherokees have a similar appearance, but the new model has some distinct advantages. The 2019 Jeep Grand Cherokee projects a more affluent look than in the past. 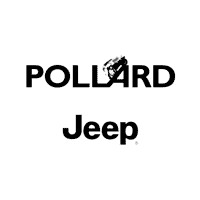 It still retains some iconic Jeep features such as the seven-slot grille and other accents while adding the right proportion of angles, sharp lines, and trapezoidal arches. The upper-level trims boast chrome accents, while the Trailhawk has more of an off-road look with red tow hooks and a matte black hood. The 2018 Jeep Grand Cherokee is attractive but lacks some of the improved stylings of the new model. 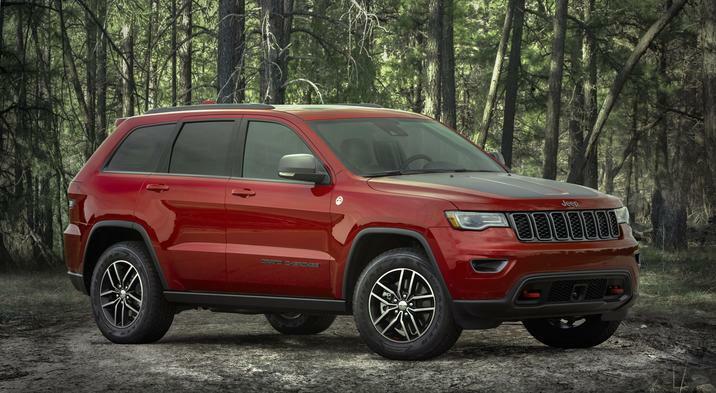 The 2018 vs 2019 Jeep Grand Cherokee both are well-equipped with technology and interior features, but the 2019 Grand Cherokee offers additional and upgraded equipment that is listed below. Laredo – The base Laredo is nicely equipped with standard features such as 17-inch rims, a six-speaker audio system, keyless entry, smartphone integration for Apple and Android, push-to-start ignition, dual-zone climate control, Bluetooth, heated exterior mirrors, two USB ports, and a 7-inch touchscreen infotainment display. The Laredo also includes the following packages: Laredo E, The Upland, and The Altitude. 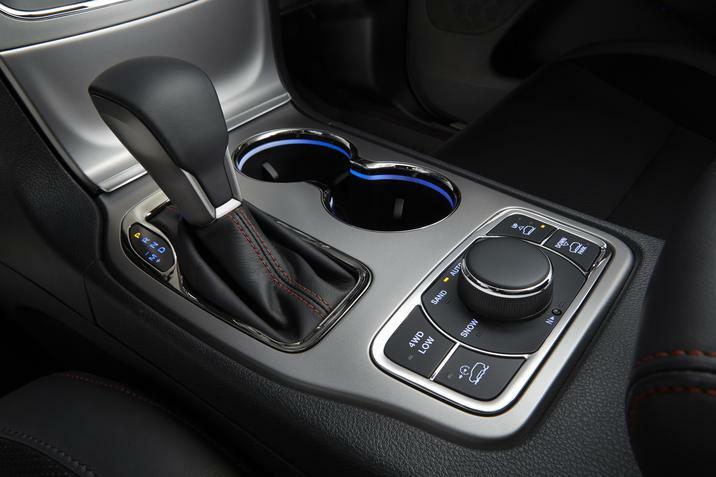 The Laredo package offers a power driver’s seat, remote start, 18-inch wheels, a power liftgate, GPS navigation, heated front seats and steering wheel, and a larger 8.4-inch infotainment display. The Upland package adds 20-inch rims, a 4WD system, GPS navigation, a blacked-out package, an 8.4-inch touchscreen display, heated seats and steering wheel, and a power sunroof. The Altitude package is similar to the Upland except it excludes the 4WD and adds leather and suede seats and a nine-speaker audio system. Limited – The Limited builds on the standard Laredo package steps up to 18-inch rims, power front seats with memory, leather upholstery, remote start, heated steering wheel and all seats, auto-dimming driver side and rearview mirrors, a household type 115- volt power receptacle, and a power liftgate. Standalone options include a dual-screen rear entertainment package and a suite of safety equipment. Other optional packages include The Luxury ll package which adds a nine-speaker audio system, GPS navigation, xenon headlights, an 8.4-inch touchscreen display, automatic headlights, power-adjustable steering wheel, a dual-pane sunroof, and vented front seats. The Off-Road Adventure ll package adds most of the off-road equipment from the Trailhawk model. The Trailer Tow package includes a class lV hitch receiver, extra engine cooling, 7-and 4- connector wire harness, a load leveling suspension, and a full-sized spare. The Sterling Edition package includes plenty of chrome exterior trim, extra safety aids, a nine-speaker audio system, Sterling badging, 20-inch rims, leather upholstery and trim, and an 8.4-inch touchscreen infotainment display. Trailhawk – The Trailhawk is a top choice if you desire off-road capabilities. It boasts unique styling, trim specific 18-inch wheels, Quadra-Trac ll, Quadra-Drive-11, Quadra-Lift, hill ascent and descent control, GPS navigation, underbody skid plates, an 8.4-inch touchscreen display, unique interior styling, a nine-speaker audio system, an improved instrument cluster display, vented front seats, and power-folding seats. Overland – The Overland includes some features from the overland plus a different version air suspension system, 20-inch rims, extended leather upholstery, automatic wipers, power-adjustable steering wheel, xenon headlights, GPS navigation, LED running lights and fog lights, and a dual-pane panoramic sunroof. Optional packages include the Off-Road Adventure ll package, The High Altitude package, rear entertainment package, and Quadra-Drive ll. Summit – The Summit builds on the Overland’s standard equipment and adds 20inch polished rims, a 19-speaker Harmon Kardon surround sound system, a self-parking system, improved leather interior, and active noise reducing technology and equipment. SRT – The SRT is similar to the Summit except for its high-performance features. Trackhawk – The Trackhawk is similar to the SRT except for its distinct high performance features. It also has unique interior accents and improved upholstery. The 2018 Jeep Grand Cherokee lacks the full complement of interior and technology features of the 2019 Grand Cherokee. The new Grand Cherokee is available at a Denver area Jeep dealership serving Denver Boulder Longmont Thornton. Both models offer five different engines that are mated to a smooth shifting automatic transmission. The Laredo features a base 3.6-liter V6 engine that produces 295 hp and 260 lb-ft of torque. The other trims except for the SRT and Trackhawk have the base engine or an optional 3.0-liter turbodiesel engine that generates 240-hp and 420 lb-ft of torque or a 5.7-liter V8 engine that produces 360 hp and 390 lb-ft of torque. The SRT is powered by a 6.4-liter V8 engine that produces 475 hp and 470 lb-ft of torque. The Trackhawk has a supercharged 6.2-liter V8 engine that pumps out 707 hp and 645 lb-ft of torque. The federal National Highway Traffic Safety Administration(NHTSA) rated both models simialarly with an overall crash rating of four out of five stars. The private Insurance Institute for Highway Safety(IIHS) gave both models its highest rating of “Good” for in crash tests. The 2019 model sets itself apart because of its improved safety aids such as blindspot monitoring, a backup camera, automatic emergency, rear-cross traffic alert, forward collision warning, and lane departure alert. 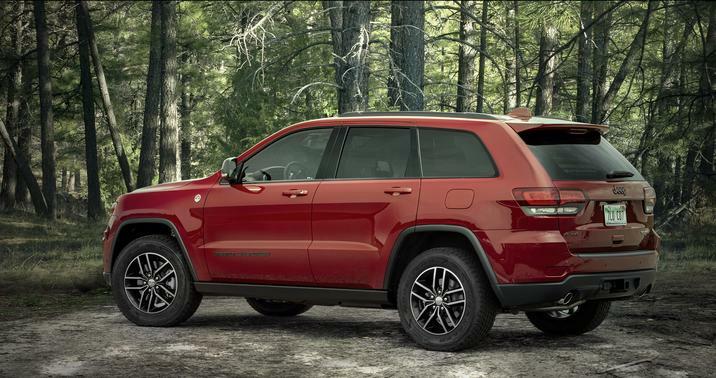 For additional information or to test drive the new Jeep Grand Cherokee to see the advantages it has over the 2018 model, come visit a Denver area Jeep dealership serving Denver Boulder Longmont Thornton.